Nowadays, when one thinks of drones, one easily pictures Hubsan X4 H107, or a Parrot AR, or any of the DJI’s Phantom drone series that those into uav aerial photography services are wont to use. But here’s a new kind of drone developed which isn’t for hobbyists or for afficionados of aerial photography and videography, but rather for use in a variety of missions – definetely not for civilian use. 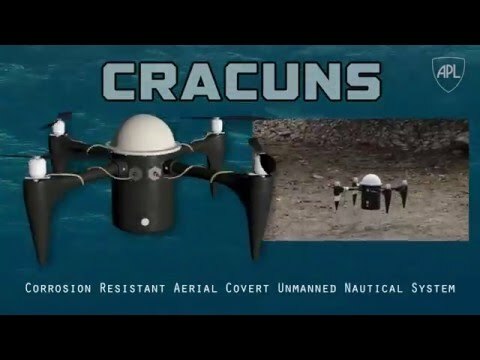 Meet CRACUNS, the amphibious drone. CRANCUNS is definitely innovative, and so much like the stuff spy movies are made of. In fact, this article by Popular Mechanics says it is the James Bond-esque spy drone of the future. In addition, it proves that 3D-printing and drone tech can blend well to produce innovative products.